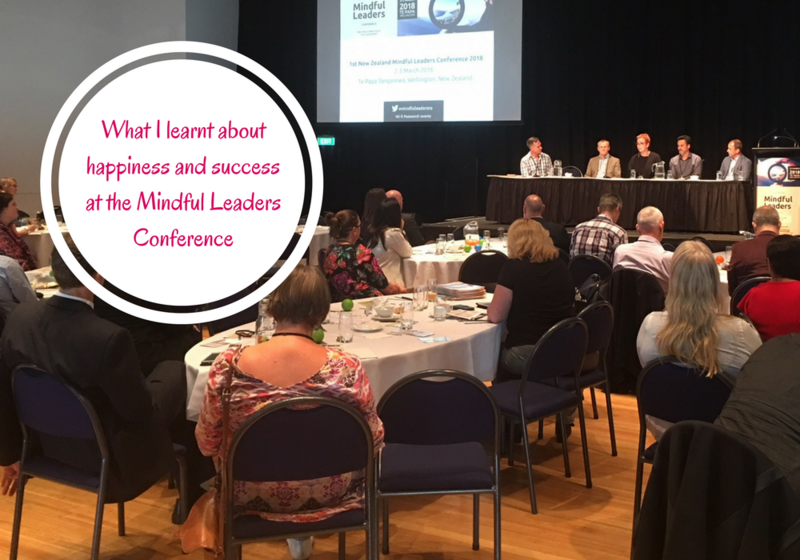 After attending the 1st NZ Mindful Leaders Conference in Wellington this month, it turns out there is one core factor undermining our happiness and success. Having spent 2 days learning, listening and participating in the Conference one of the things that I took away with me that resonated the most was the notion that if we truly want happiness and success we have to give something up in order to put the good stuff in. And the one thing you have to give up is…… not being brave enough. Not having the courage to do what you want to do. That’s the thing that undermines your happiness and success. The problem is, if you haven’t explored the amazing gifts you have, then you don’t really know what you are here for and hence have an underlying sense of dissatisfaction from not having found your purpose. By not being mindful of your calling, or your big idea, you are not making the impact you want, leading the way you want, and making the difference you wanted to. You are not leading from Mindful values. And you have to give that up. Yes. You have to give up NOT feeling brave enough or courageous enough. Something has to change. In order to contribute to our happiness and success and actually create positive change, you MUST be in your truth. I remember times when I wasn’t in my truth and tried to stay ‘comfortable’ and I can tell you now – that actually felt VERY UNcomfortable. In fact so much so that my body became acidic and I became quite unwell when I spent 6 months in a job I should never have taken. You see, our body knows. When you are not in your truth, your body is telling you. Listen to it. It knows that we DESERVE to be able to be who we truly our – not someone we are trying to be. Anything else is simply dishonouring ourselves. But research tells us that just being Mindful is not enough. Even with serious mindfulness training we can still lose courage, and be poor at listening to our truth. But when mindfulness is fully integrated into our daily lives, huge progress can be made. The easiest way to do that is to ask yourself open-ended, reflective questions. What would it take for me to be more courageous this week? To what I’m really committed to – how is that going? Why is that? What’s your game worth playing? What are doing or not doing to work towards it? What is it you need to give up so that the new things can come about? 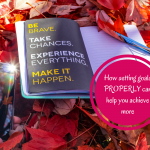 That’s how I got to be where I am right now, following my Purpose, running my business alongside inspiring people, helping my clients, speaking on stages, at Conferences, running Masterclasses, workshops and trainings. I faced it and I reflected and I do so regularly to be aware of where I am compromising my happiness and success. Who you are being matters much more than what you are doing. How can you be 200% accountable to your life all of the time? So that you won’t play games. Or wait for someone to rescue you. Or to help you land clients on your lap. Or to pay back the debts you create in your business. Or to come up with teh funding for your big idea. Or disrespect yourself. Get real, get authentic, get mindful. For your own sake, for your happiness and success, and for the sake of the clients you are here to serve, or the big idea you are trying to launch, take accountability to listen to your Truth. Go be on Purpose. Step into your potential with confidence. Have that belief in yourself and your ability to change people’s lives, and you go make this world a better place – one step or large leap at a time – whichever serves you and YOUR Purpose and gets your amazing gifts out there. Stop looking at what others are doing and allowing yourself to feel anything other than the courage to do YOUR best. (Note – I wrote YOUR best, not the best by someone else’s standards). And yes, I totally hear you…it’s going to take some guts and a whole bunch of courage and persistence. But therein lies the biggest, most beautiful lesson. Ask yourself this set of questions specifically around your business and allow yourself to get real (do so and you’ll start the chain of awareness and the wheels of change can then begin to turn). What’s my ‘game worth playing?’ What are doing or not doing to work towards it? Where do you need to be more accountable for your actions? Ask these questions, but then don’t stare backwards on them with regret – you’re not going there. Look forwards and learn from the mistakes you made in your past. Go handle that debt you may have. Go ask those clients for the sale. Go put on that workshop. Go start that group program. Go write those emails. Go create your big idea. Go learn more about being a better Leader. But NEVER allow yourself to be taken care of by someone else, or wait for another person to rescue you. Or blame someone for their lack of action. Declare it and send it out to for your highest good and see what miracles for your happiness and success start to unfold as you live in integrity and in your truth. 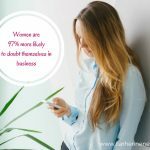 Women are 97% MORE LIKELY to doubt themselves in business. Here’s what to do.